8 Moonshine Cocktails to Sip on This Summer in Raleigh, N.C.
For the perfect boozy Southern drink this summer, turn to a moonshine cocktail in Raleigh, N.C. Sip on one of these eight beverages here in the capital city area. They&apos;re best enjoyed outside with friends and pack a delicious punch! The Mason Jar Tavern uses fresh herbs and summer produce paired with N.C.-made spirits to create their drink specials. 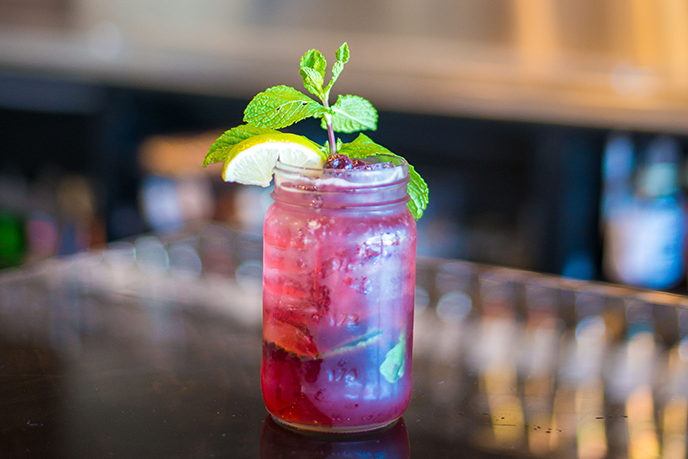 The Blueberry Mint Moonshine is a must-try and includes Junior Johnson&apos;s Midnight Moon Blueberry Moonshine, Sprite, muddled mint and lime with sugar in the raw, all shaken over ice. Of course, this Southern favorite is served in a mason jar! Locations in both Holly Springs and Fuquay-Varina. With a name like MoonRunners Saloon, expect to find the moonshine flowing! Featuring more than 40 different types of moonshine from N.C. and beyond, this Garner restaurant and bar has become a local-favorite hangout. For a taste of summer, try the Island Shine Punch featuring strawberry moonshine, watermelon liquor, melon, simple syrup and pineapple juice, then garnished with lemon, orange and a cherry. In the town of Wake Forest, Farm Table is taking sweet tea to a new, sweeter level. 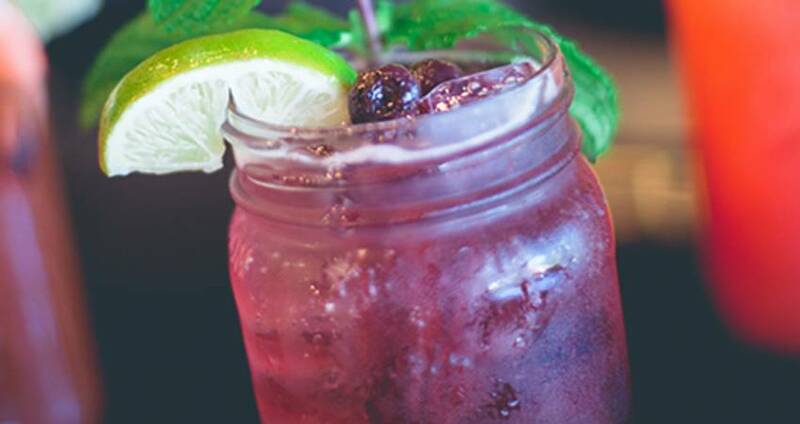 The Firewater Punch features blackberry moonshine, fresh lemon juice, black tea and house-made honey syrup. Pair this cocktail with a farm-to-table meal for something extra special this summer. Crafted with N.C. spirit, Backyard Bistro&apos;s Fuzzy Peach Navel is stirring up the South in a glass. Troy and Sons Platinum Heirloom Moonshine is mixed with peach schnapps, mango nectar and orange juice to create a refreshing summer cocktail for you to enjoy on the patio. With a portion of their beverage menu dedicated to "shine," Driftwood Southern Kitchen in North Raleigh&apos;s Lafayette Village offers five moonshine cocktails. For a refreshing spin on the classic sangria we all love during the warm summer months, Driftwood&apos;s Peach Shine Sangria is a must. This specialty cocktail features peach moonshine, wine, fresh ginger, mint, lime and orange bitters, and is best enjoyed on the patio. 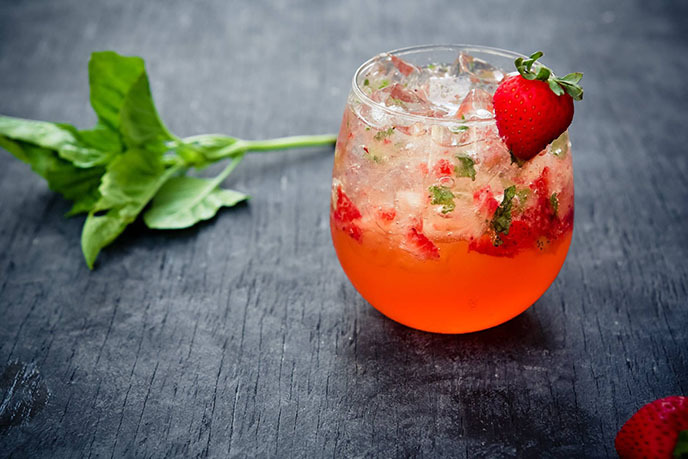 Also try the Strawberry Basil Mojito, with strawberry moonshine, basil, simple, soda and lemon! Located in Midtown Raleigh&apos;s North Hills, Vivace offers an inventive barrel-aged moonshine cocktail crafted with Troy and Sons Moonshine, campari and sweet vermouth. This unique take on a negroni is great to enjoy on a date night after a delicious Italian dinner. Tupelo Honey in Raleigh&apos;s Cameron Village is taking brunch to a new level with their Moonswine Mary. Jalapeño-poblano-infused moonshine and house-made Bloody Mary mix blend together to create the perfect cocktail with over-the-top garnishes like apple cider bacon, pimento cheese-stuffed olives, pickled okra and fresh lemon. Don&apos;t forget the bacon-salt rim! For a unique take on the classic Moscow Mule, The Cowfish is mixing up a cocktail with Poteen Moonshine, ginger beer, freshly squeezed lime and shiso. Deemed the Moscow Muleshine, this cocktail offers a refreshing break from the summer heat, and we hear it pairs perfectly with a roll of burgushi! Drink responsibly. Never drink and drive.